The whole idea of Google Webmaster Tools is to provide website owners with the means to improve their sites visibility on the web and also diagnose a number of different errors (if they exist). If you don’t have a Google account then you will have to create one before you can use Google Webmaster Tools. The first step when you log into your account is to actually verify that you own a site. Enter the URL of your site and you will be a choice of options to verify ownership. You can either paste a META tag on your home page or upload a html file. Once you have done this then Google checks that the change has been made and if it has then Google knows you have control of the site. Once verified, you will now be able to manage your profile by clicking on the “Manage: yourwebsite.com” link on the Google Webmaster Tools dashboard. There are a number of different options and we will look at some of the more important here. This tool allows you to check if your site has any errors. These can be 404 errors, excluded pages or a multitude of other errors such as URL’s not followed, URL’s timed out or unreachable URL links. The Google website crawler will check all of your site and report on what it finds. This is a great feature of Google Webmaster Tools and allows you to see where people are coming from when they enter a Google search. You will see a list of search queries and also the number of times each search query was clicked. One very interesting feature is that you can also see where in the Search Engine Rankings that your site was listed for a given search phrase. This feature examines all the links on your site and allows you to see and measure link popularity, either external or internal. You may, for example, be interested in seeing how a particular link on your site is used and how often. 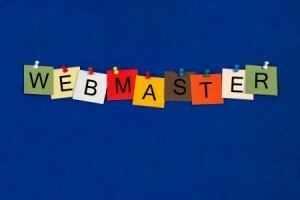 The Google Webmaster Tools: Links feature will tell you the answer. You can create and upload XML based sitemaps with this feature. This means that sitemaps catalogue your pages and links so that the Googlebot can crawl your site, see the content and index it in its rankings. If you are interested in making sure that your site content is seen by Google and other websites then you should seriously consider pinging your site which means telling the search engines that you have added new content and that therefore they should visit your site again in the near future and re-rank the site. Take a look at our automatic pinging service here. Now it is easy for my site. thanks for this article..as i am new i didn’t know about webmaster tools thanks to you now i know the importante of it…will add my site now.. Precisely because the issue of errors in sites open an account with Google Webmaster. At first it seemed to go well with my site, but there are blogs pinging services that say I have a 404 error, so do not know how to resolve this issue. since I started using Pigler I have notice an increase in traffic to my blog.I discover Plingler by chance about a month a go and I been using it ever since.Thanks!for such a great tool!.